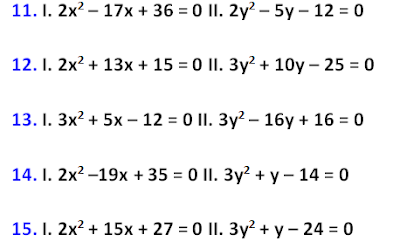 Direction (1 – 5): Study the following table carefully and answer the given questions. 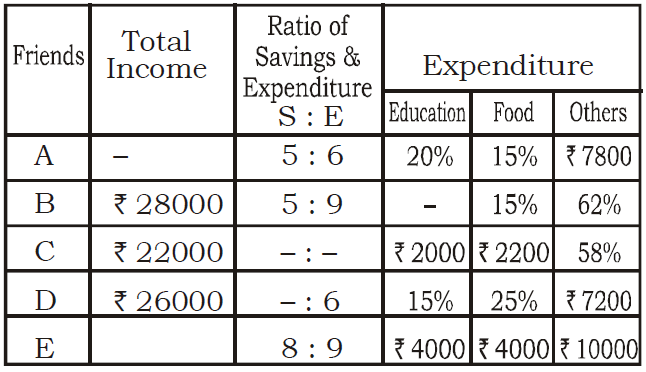 Table shows the monthly income and expenditure of five friends. Find the missing data if required to answer the questions. 1. Find the annual income of A. 2. Find the difference in the monthly savings of C and D.
3. 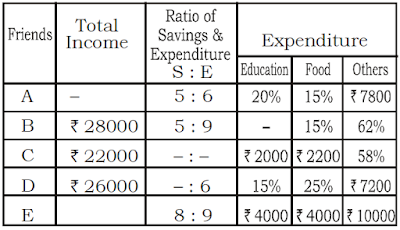 Expenditure made by B on education is what percentage of expenditure made by D on food? 4. The savings of B is what percentage more/less than that of E? 5. Find the average of monthly income of A, C and E.
6. In two alloys A and B the ratio of zinc to copper is 4:5 and 2:7 respectively. Eighteen kg of the alloy A and 45 kg of the alloy B are mixed together to form a new alloy. what will be the ratio of Zinc and copper in the new alloy? 8. A began a business with Rs. 65,000. He was joined afterwards by B with Rs. 40,000. For how much period does B join, if the profits at the end of the year are divided in the ratio of 13 : 4? 9. After three successive equal percentage rise in the salary the sum of 100 rupees turned into 140 rupees and 49 paise. Find the percentage rise in the salary. 27 liter milk and 9 liter water. Now, 15 liters milk is added then milk becomes 42 liters.